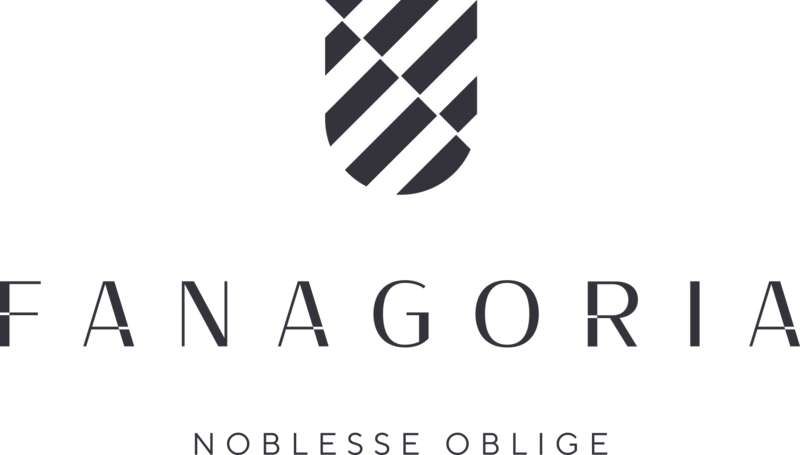 Fanagoria’s Saperavi 2015 has for the first time in the history of Russian winemaking been awarded a platinum medal at the globally famous Decanter tasting contest in London. The wine got 95 points out of 100. The 2017 results epitomise the spirit of DWWA, launched in 2004 with just 4,000 wines and now the world’s largest wine competition with more than 17,200 entries in 2017. Two-hundred-and-nineteen expert judges, including 65 Masters of Wine and 20 Master Sommeliers, rewarded examples of excellence in classic wines, such as Châteauneuf-du-Pape 2015, as well as emerging talent – offering both merchants and consumers a chance to discover something new. The chairmanship of the Decanter World Wine Awards (DWWA) 2017 was shared between Sarah Jane Evans MW, Michael Hill Smith MW and Gerard Basset OBE MS MW. Steven Spurrier, Decanter consultant editor and Chairman of the DWWA since its launch in 2004, was Chairman Emeritus and aid the Chairs in an advisory capacity.  Fanagoria Red Winemaker: “Of course, we always hope that all wines we make are worth high rewards. 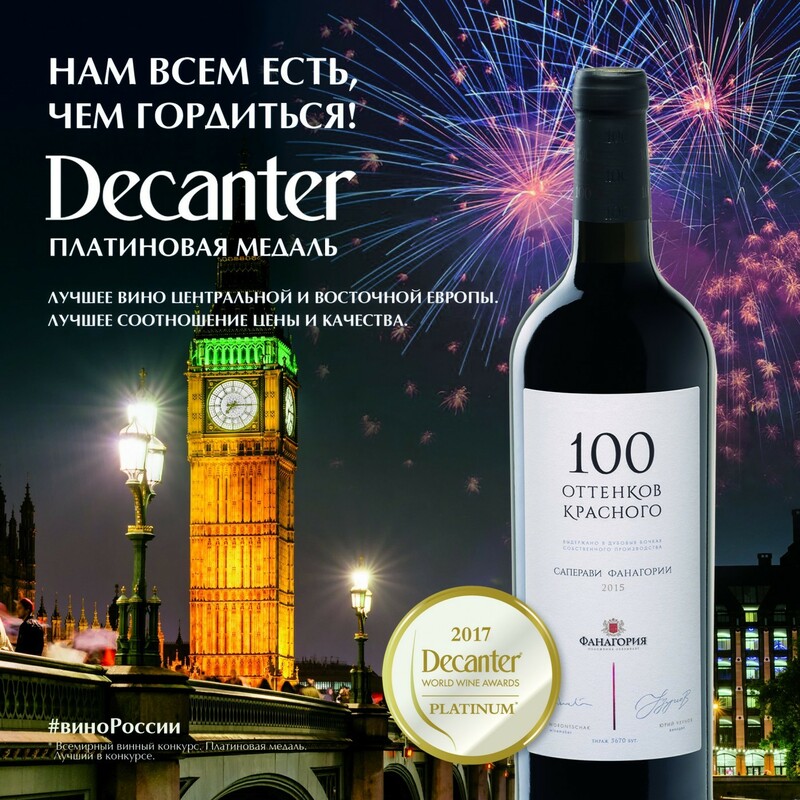 But we didn’t even dare expect that A Hundred Shades of Red Saperavi 2015 would get a platinum medal at one of the world’s most prestigious contests. The victory was first of all caused by the 2015 vintage, which proved to be very successful for the Saperavi variety. So we made a full-bodied wine with a bright and open flavor, with many shades on the nose and palate (it’s no wonder that the wine’s title is A Hundred Shades!) and a very soft and round finish. The bouquet features prunes, smoked berries, and creamy and cheesy notes. “But it is worth emphasizing that we never make wines specially for contests. What is sent to the competition is taken from our warehouse and was made using our usual technologies. For us as winemakers it is important to get high evaluation of not only wines but our entire work. So this platinum medal proves that all we did when crafting this wine, all technological stages applied starting from the work in the vineyard, was done correctly. Decanter World Wine Award is considered the world’s largest and most influential wine tasting competition. This year it summoned more than 17,000 wines from throughout the world. This year, a platinum medal was for the first time given to a Georgian wine. Over the week Riedel supplied 33,000 Chianti glasses and 9,000 Champagne flutes, 2,892 bottles of Belu water were provided. There was also 100kg of cheese available to the judges.